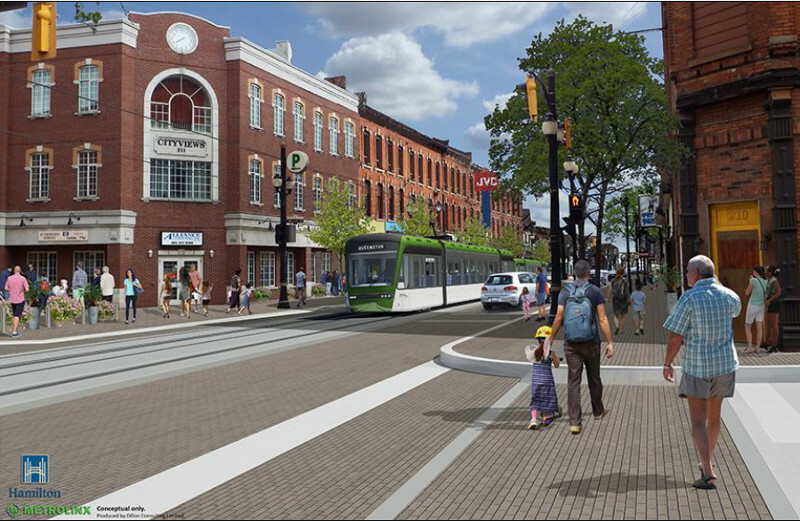 The initial LRT design was unveiled in early May as discussed in our previous LRT Update. Executive Director Susie Braithwaite sits on the LRT Sub-Committee at city hall and on May 2nd addressed the sub-committee about the lack of a light rail transit stop within the boundaries of International Village. At the May 2nd LRT Sub-Committee meeting, the LRT project team was directed to work with our BIA to explore other options for stop locations to address our concerns. At a meeting on May 31st with the chair of International Village BIA, Herb Wodehouse and Susie, LRT Metrolinx and City of Hamilton staff discussed options for a revised LRT design for International Village that could include a LRT stop at Wellington St. and King St. E. (replacing the Victoria stop). The proposed stop would be located in the centre of the road and stretch the block between Wellington St. and West Ave. Two-way vehicular traffic would drive on a westbound lane and an eastbound lane located on either side of the stop. There was a brief discussion about naming the stop 'International Village' that the BIA will be pursuing. It was discussed that because of the narrow corridor on King St. E., Wellington is the only viable option for a LRT stop within our boundaries because of the size of the stops being 60 metres long. It was also discussed that they are looking at an option to rename the Catharine stop to Mary. The stop is located between Catharine St. and Mary St. The BIA would then be book-ended and have minimal distance between the two stops. These proposed changes to International Village stops will be brought to the next LRT Sub-Committee meeting on July 26th, 2016 for discussion. *Please note that despite concerns which have been raised pertaining to the challenges posed by the narrow route through International Village, this is the route that has been presented to us by Metrolinx and the City of Hamilton and in which we are working with. This route is currently the ONLY route on the table, and any other proposals/recommendations should be raised immediately with your city councillor and/or city staff. The BIA is hosting the venue at 1 Jarvis St. E. (Ticats head office) and providing members witih the opportunity to address City of Hamilton and Metrolinx LRT staff and to review current alignment and proposed stop modifications. They will be on site to answer your questions so please come prepared. This will be an informal drop-in open house so feel free to join us anytime between 8am & 10am. 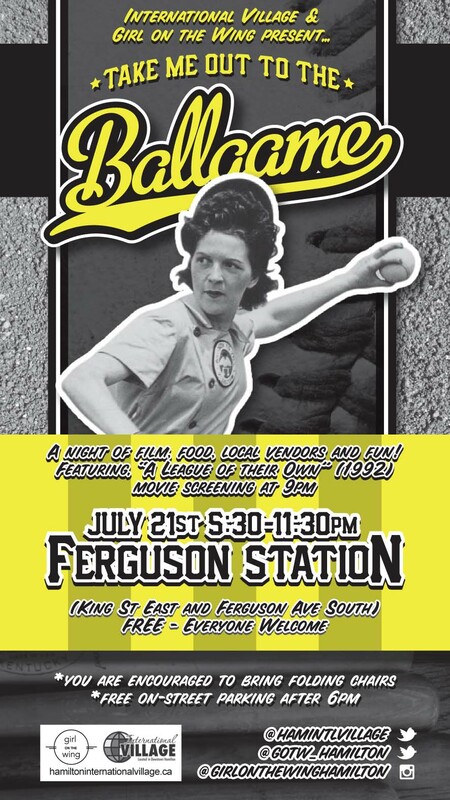 From Thursday, July 14th to Thursday, July 21st decorate your storefront window in a baseball theme and you will be entered to win a $175 Blue Jays gift certificate package. The draw for the gift certificates will take place on July 21st at 8:00pm and the winner will be notified. *In order to qualify and be entered into the draw, windows must be decorated by noon on Thursday, July 14th and cannot be taken down until the morning of Friday, July 22nd. Emily is currently the 'Up Your Alley' Alleyway Coordinator for both the Downtown Hamilton BIA and International Village BIA and works in that position 9am-1pm Monday to Friday and she will also be working 1:30-4:30pm Monday-Friday for International Village now until September 9th. Emily worked with the BIA in 2013 as our summer staff and she is very familiar with our neighbourhood. You will see her out and about this summer doing graffiti removal and other various projects around the BIA. Please join us in welcoming Emily back. 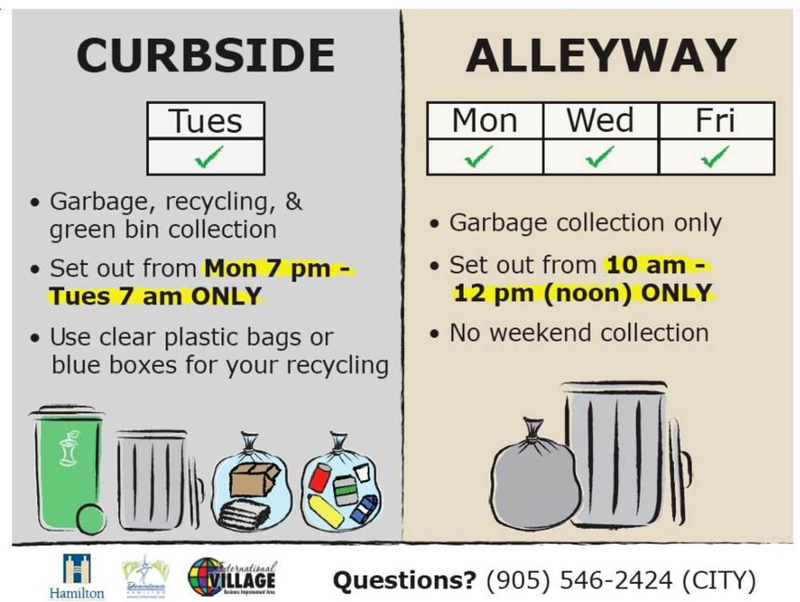 Just a quick reminder that if you are experiencing any issues within the alleyway from Wellington St. to Mary St. on the north side to email them directly to Emily at upyouralleyway@gmail.com and as always if you have a non-emergency police issue to report call 905-546-4925. It is important to report all crimes to the Hamilton Police Services. Copyright © *2016* *International Village*, All rights reserved.